While in past years Dacia stand at the Geneva Motor Show was besieged by journalists, the 81st edition of the prestigious event was marked by calm in the Romanian car manufacturer stand. The main reason behind the low number of visitors was the fact that Dacia showed no novelty in this showroom. The car manufacturer from Pitesti preferred to focus its efforts on developing new models rather than creating futuristic concepts with weak chances on going into production. 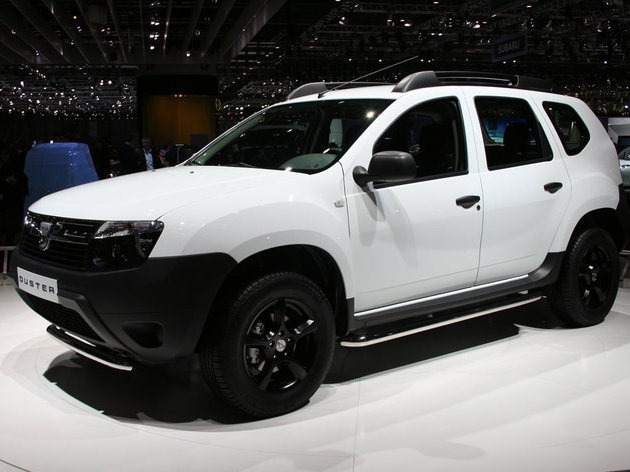 Dacia presented at the Geneva Motor Show the competing version of Duster, used in the Aicha des Gazelles Rally, accompanied by a slightly aesthetic modified version of the Duster. More specifically, it was a white Duster with front and back black bumpers, side skirts, black mirror cases and a set of black alloy wheels, that look promising. The Dacia does look promising. I was looking around for opinions on the car and stumbled on this blog. Thanks for the quality content!